While putting together a list for my new workspace, some of the essentials seemed to navigate towards a band saw, a scroll saw, a table saw, etc. Well, while browsing a few of them online, happened across this saw from Rockwell called the Bladerunner X2. It has a small table top, with a fence and miter gauge included. The cool thing to me, is the saw uses a T-shank jigsaw blade for cutting. Parents got it for my birthday last year, and finally had a few chances to try the thing out recently. A really nice feature from them, is they'll put their accessories on sale direct from the website. So I managed to get two packs of blades, two sleds, and two wall hanging brackets (the brackets were a mistake on my part). 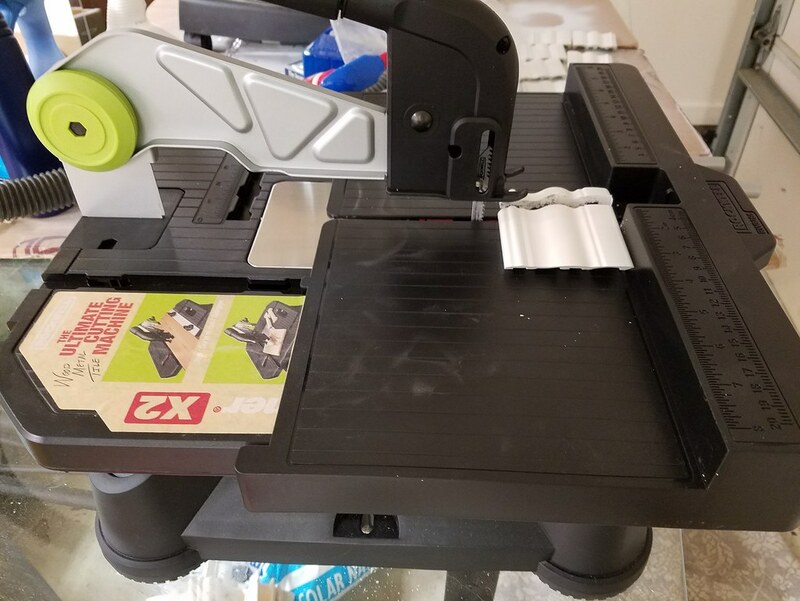 Using the sled, was able to get some really nice cuts on the valance trim pieces included with our recent window blinds purchase for the new house. The Shop Vac hose connected without any problems at all. That option worked ok. With the mdf cuts on some shelves, was much better at removing the dust, versus the small vinyl pieces of that window trim. I thought for sure while messing with that, there is no way the hose would stay connected, but it did without any issues. I highly recommend this for anyone limited on space and or budget. This puppy goes on sale for $99 all the time. 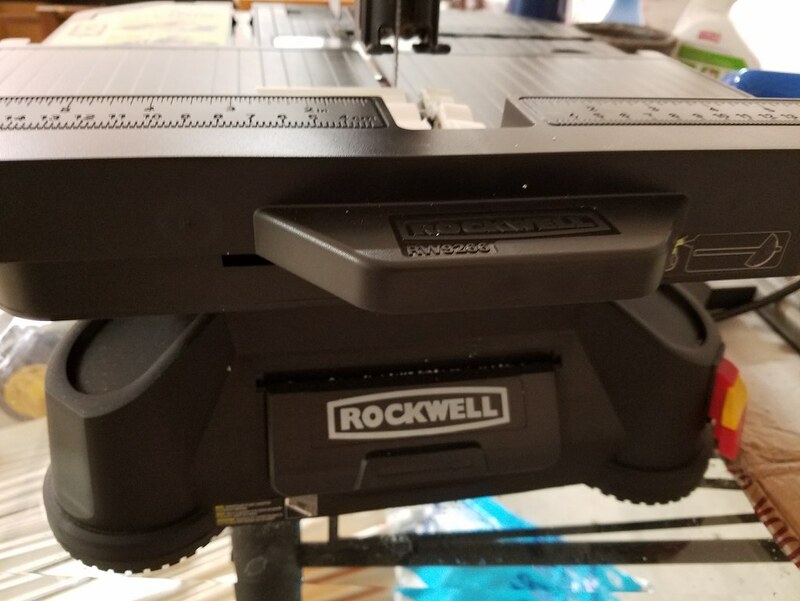 Does it completely replace a quality band saw, scroll saw, or table saw? Nope. 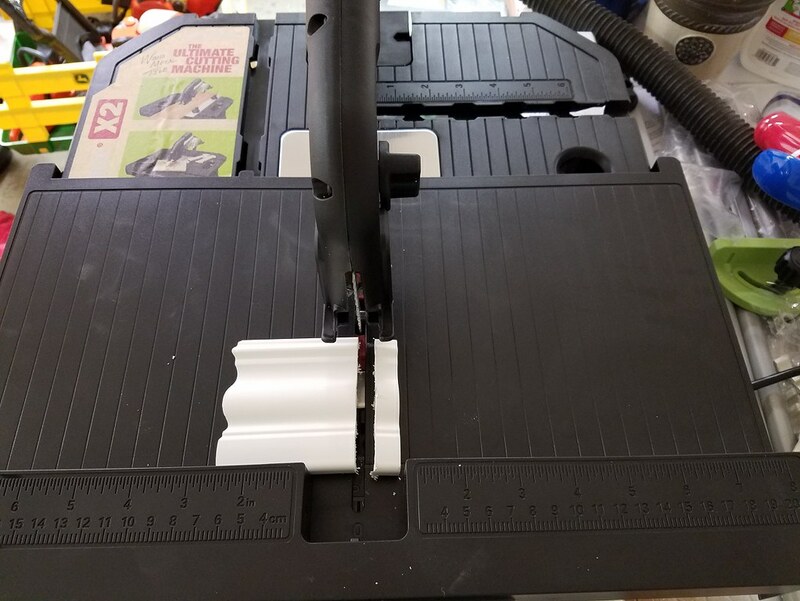 But I can say it does an excellent job with smaller stuff, without the setup time and effort it would take for one of those other saws. Plus the space they take up, and added cost.